A Dallas, Texas-based developer has announced plans for five senior living projects in a single metro area, bucking oversupply concerns and bringing a recently founded operator into the mix. Specifically, McFarlin Group LLC revealed five assisted living and memory care community developments in the greater Phoenix area for $80 million, with Surpass Senior Living slated to manage each building. Surpass Senior Living was founded in March 2015 by Matt Johnson and Josh Rosen, principles of McFarlin Group. McFarlin Group’s building plans involve properties in Gilbert, Surprise, Mesa and Phoenix, and the first project is slated to open by the end of the year in Gilbert. The projects include Mariposa Point of Gilbert, an 83-unit assisted living and memory care community licensed for more than 120 residents; Mariposa Point of Surprise, a 76-unit assisted living community licensed to serve more than 100 residents; Mariposa Point of Mesa, an 83-unit assisted living and memory care community licensed for more than 120 residents; and Mariposa Point at Algodon Center, which will also have more than 80 assisted living and memory care units licensed for over 120 residents. The final project is a 204-unit building considered congregate care and is tentatively named The Aspens at Mariposa Point. The $80-million investment is financed through a mix of funds from regional banks and tax-exempt bonds. In pinpointing exactly where to build, McFarlin focuses on three main elements: the population of seniors and their adult children, competitors’ occupancy levels and future projected demographics. And while there is obviously a lot of competition, the Phoenix metro checked all those boxes, Rosen says. Plus, McFarlin adjusted its plans based on the type of product already in the market, Rosen tells SHN. For example, the community to be built in Surprise will only offer assisted living, because there’s a memory care provider adjacent to the property and another down the street. Moving forward, McFarlin Group intends to head toward the East Coast, specifically targeting Virginia depending on land availability and price. Rosen didn’t divulge a specific number of developments ahead for the company, but said there are growth plans in mind. Right now, the focus is on the task at hand, he said. 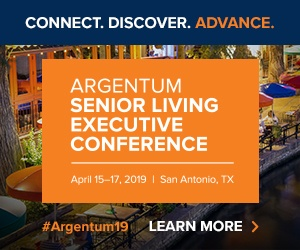 Surpass Senior Living came to fruition as the result of McFarlin Group’s extensive involvement in working with its third-party managers. In the past, once communities were built, McFarlin Group was very proactive in helping with day-to-day operations, looking for issues or potential stumbling blocks and tracking numbers to understand where money was going, Rosen says. Currently, Surpass Senior Living manages one community in Allen, Texas, called The Heritage at Twin Creeks, and a second in San Antonio, called The Heritage at Westover Hills. McFarlin Group is in the process of making its first acquisition of an asset in the north of Austin, Texas, which Surpass will manage upon purchase, as well. In addition to the Texas properties, the five developments in Arizona will be under Surpass Senior Living’s oversight. Each of the new developments will employ around 45 people. An employee-centric culture is what sets Surpass Senior Living apart from other management companies, Rosen says, and accessibility to leadership is key. “We’re not asking people to do anything that we wouldn’t do ourselves,” he says.